of the Indian woman of his dreams. 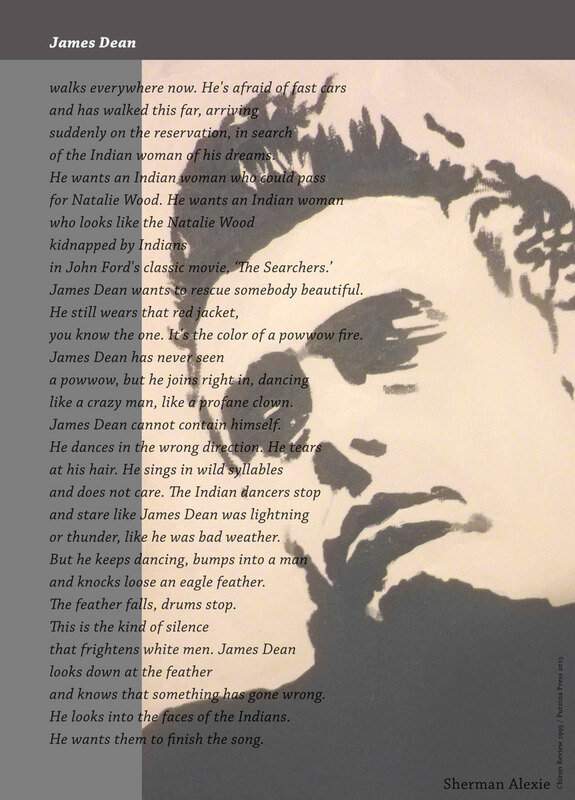 James Dean wants to rescue somebody beautiful. you know the one. It’s the color of a powwow fire. like a crazy man, like a profane clown. James Dean cannot contain himself. or thunder, like he was bad weather. and knocks loose an eagle feather. The feather falls, drums stop. and knows that something has gone wrong. He looks into the faces of the Indians. He wants them to finish the song.